Machine Gun Kelly's never afraid to push the boundaries & we're here for this camo print ensemble! Check Out All The Best Red Carpet Outfits From The AMAs 2017 Inc. Selena Gomez, Niall Horan & More! 6. 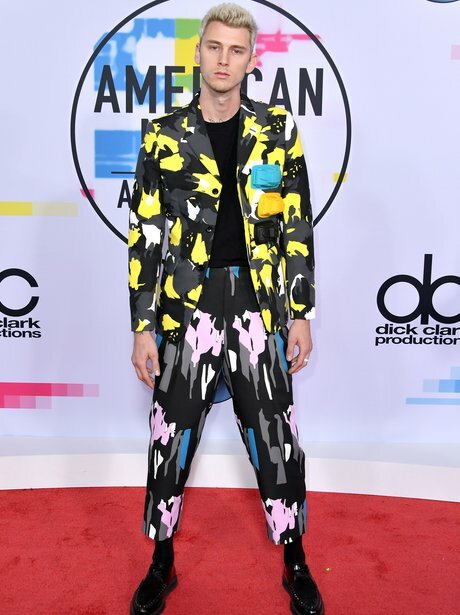 Machine Gun Kelly's never afraid to push the boundaries & we're here for this camo print ensemble! See the full gallery: Check Out All The Best Red Carpet Outfits From The AMAs 2017 Inc. Selena Gomez, Niall Horan & More!